Water is the most important compound ensuring life on Earth. 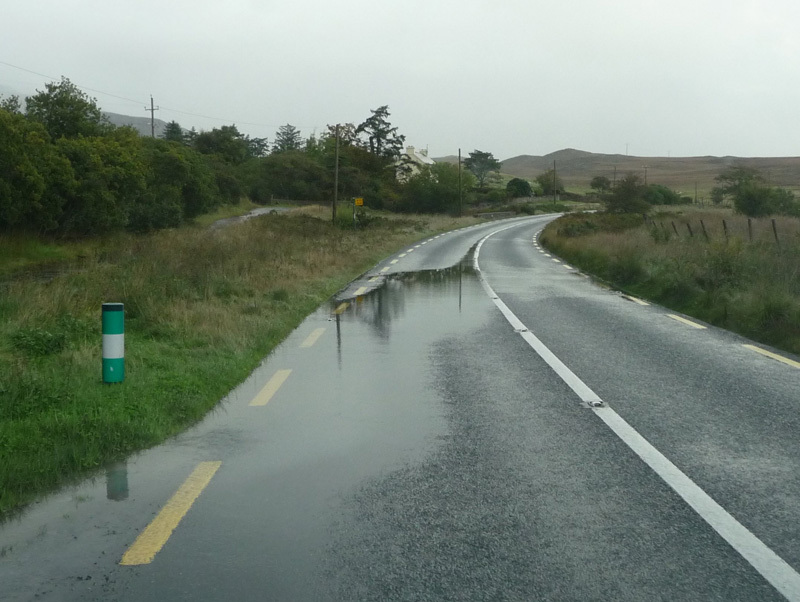 But on roads the presence of water means mainly trouble. 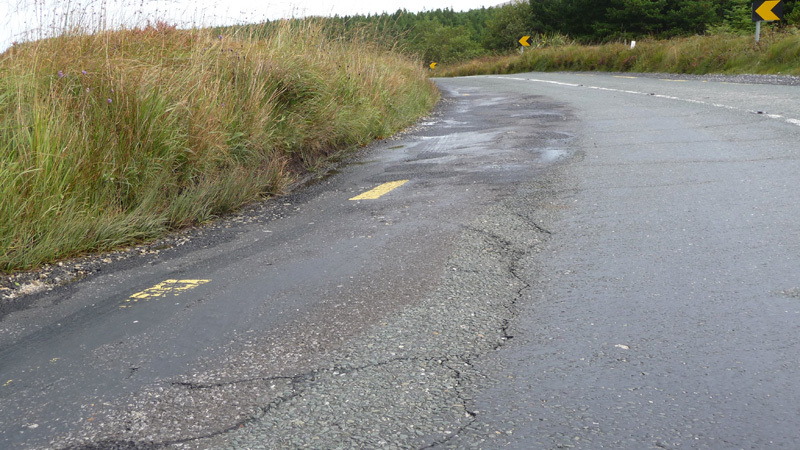 A main cause of road damage, and problems with the serviceability of road networks, is excess water filling the pores of road materials in the road and in the subgrade soils. 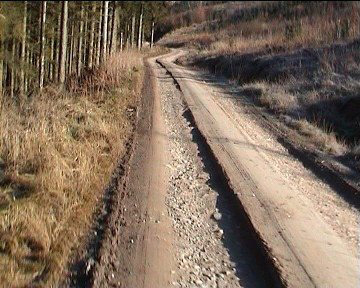 It is generally known that road structures operate well in dry conditions and because of this roads historically have been built on dry terrain. 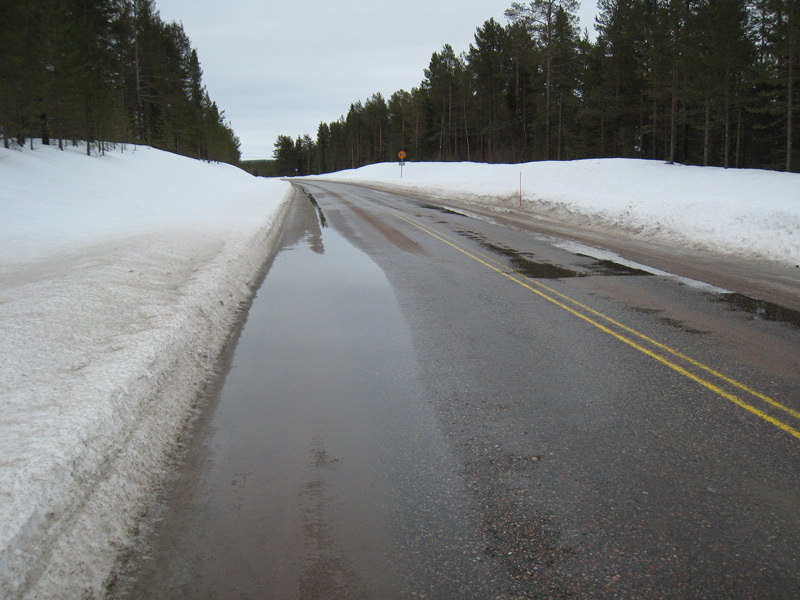 On those occasions where roads have had to be built on wet terrain, drainage structures have usually been designed to keep the road structures dry. 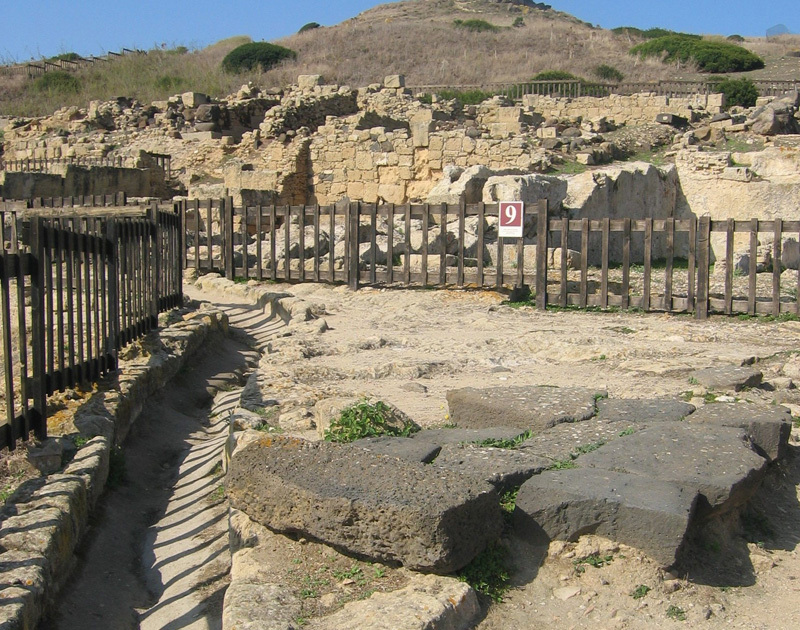 The first roads in Europe were built about 3500 years ago. 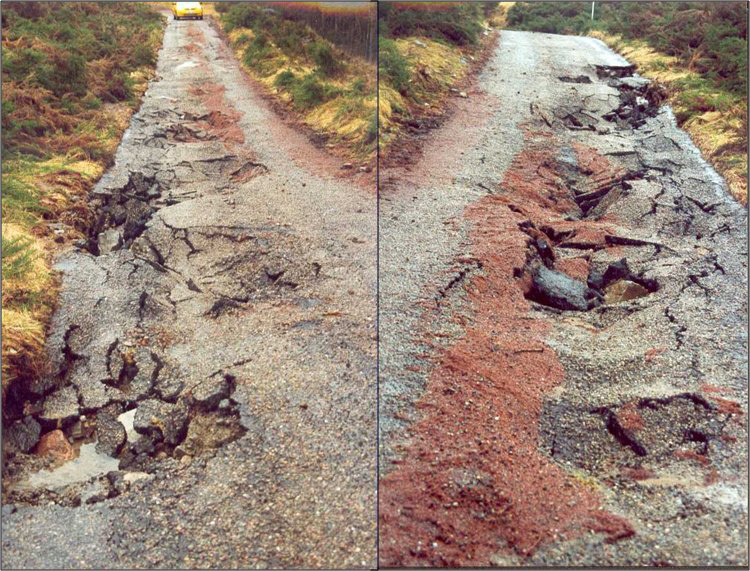 Already at that time engineers designed the road structures to take into account the importance of drainage. 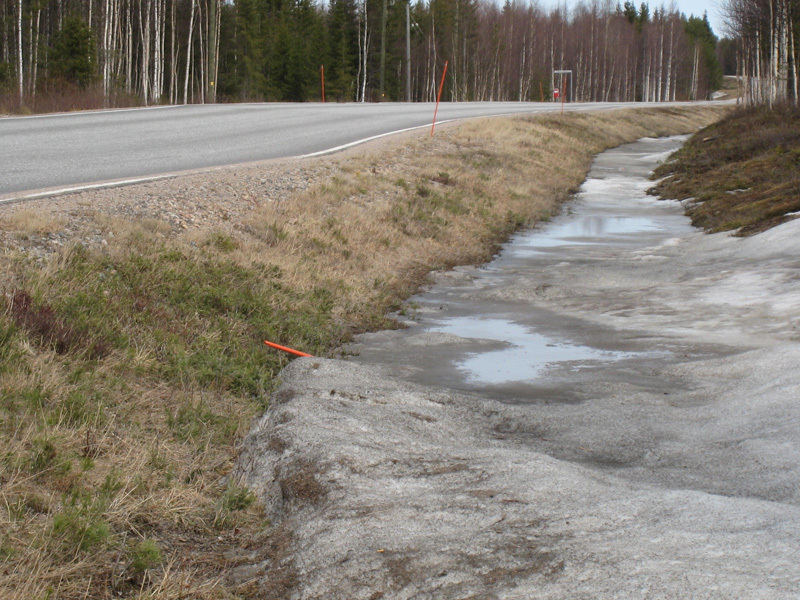 They paid attention to cross-fall (to help water to flow to the lateral ditches), grade line (the road surface should be above of the groundwater table and the surrounding ground) and lateral ditches (to convey water away from the road structure and prevent water table rise). 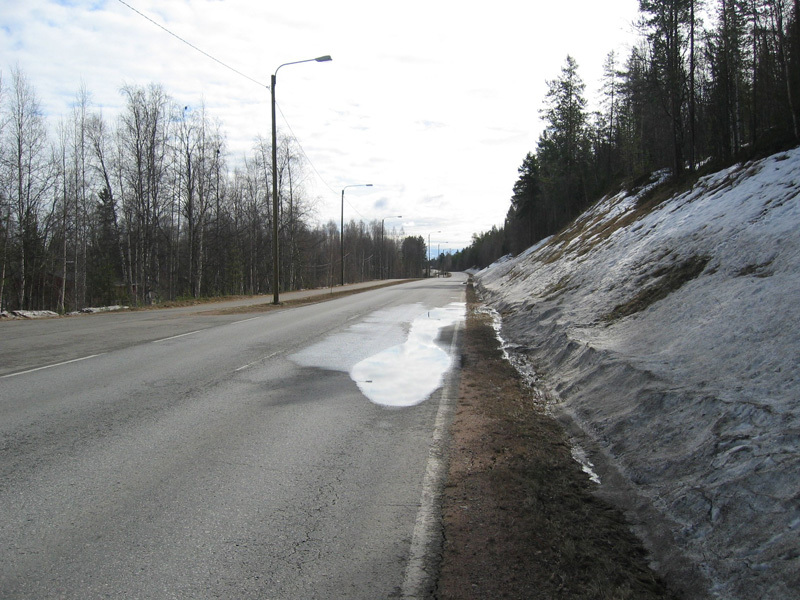 Currently, however, the proper maintenance of road drainage structures is being ignored in many countries. 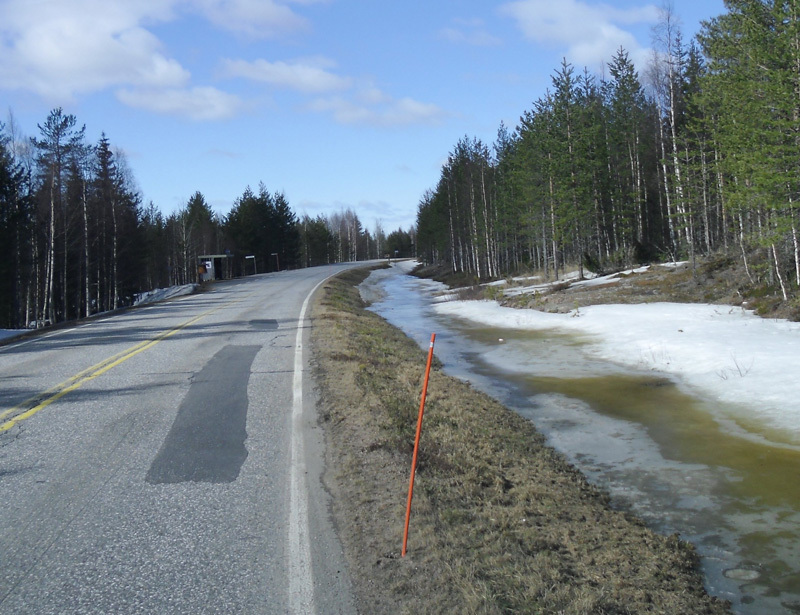 In the results of the ROADEX projects, for instance, poorly performing drainage has been found to be one of the biggest concerns in the Northern Europe. 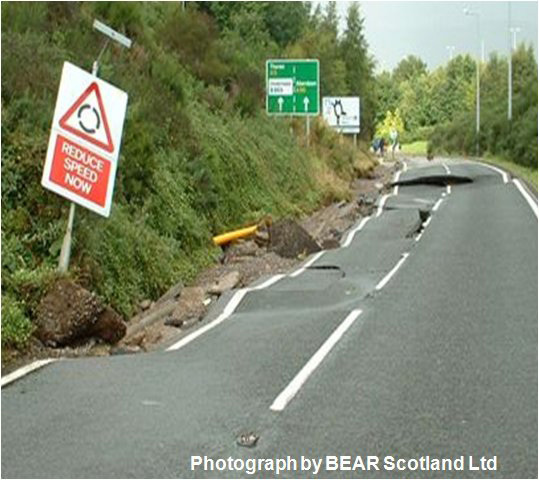 Drainage problems can be found everywhere in low traffic volume road networks, but they can also be found in main roads. 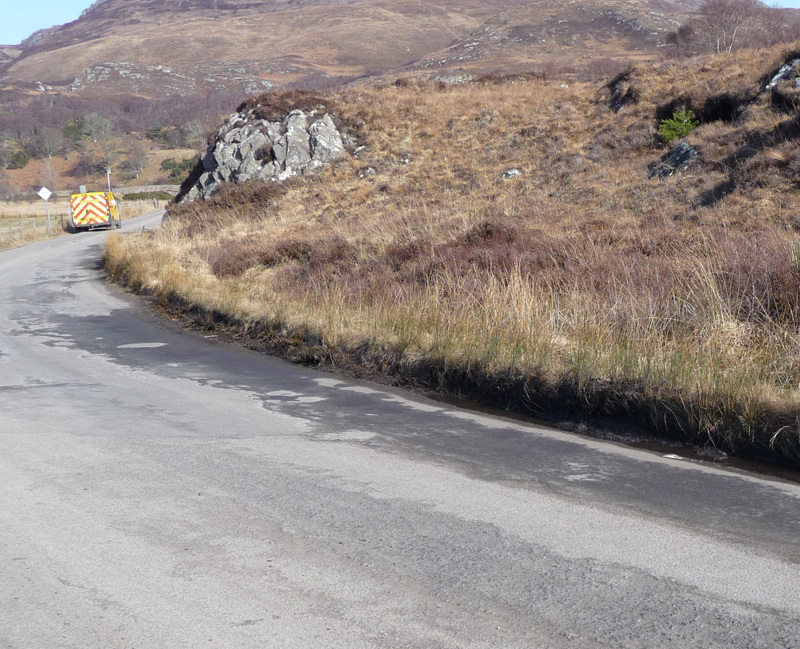 Over recent years, when governments have been decreasing budget funding for maintenance operations on low traffic volume roads, money has been given for asphalt paving works at the expense of drainage maintenance which has generally been ignored. 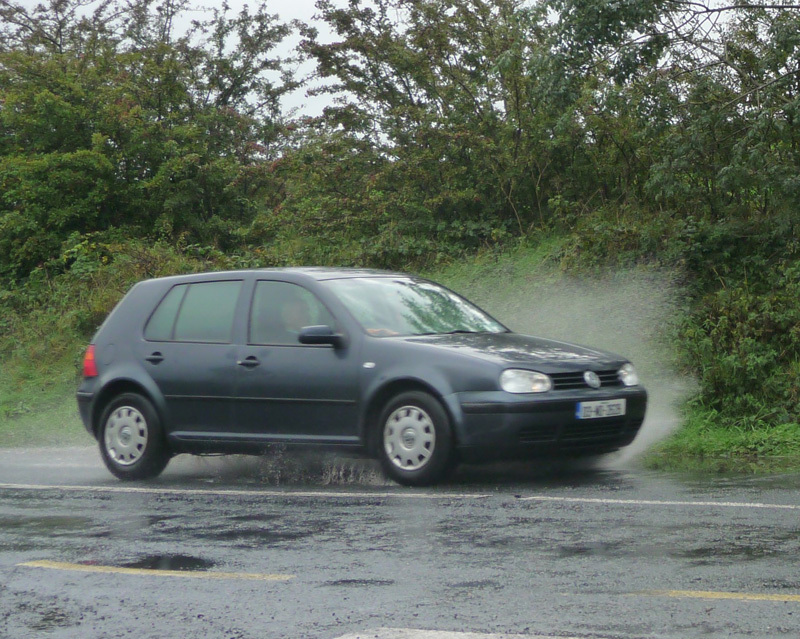 Poor drainage is a traffic safety risk. 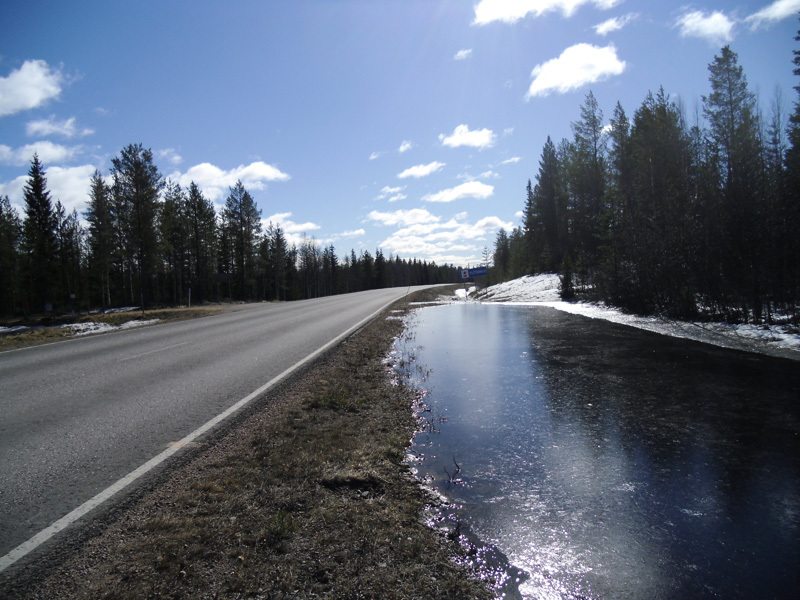 Water may accumulate on the road like ponds. 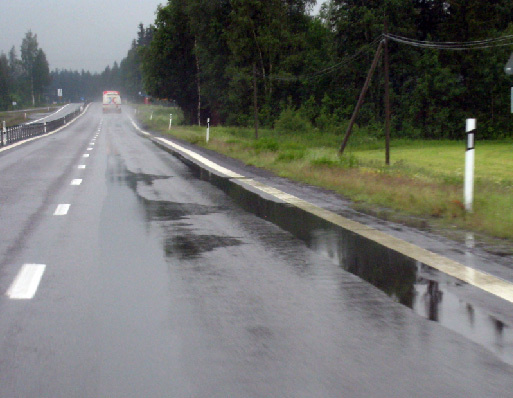 The accumulated water creates a risk of aquaplaning during rain. 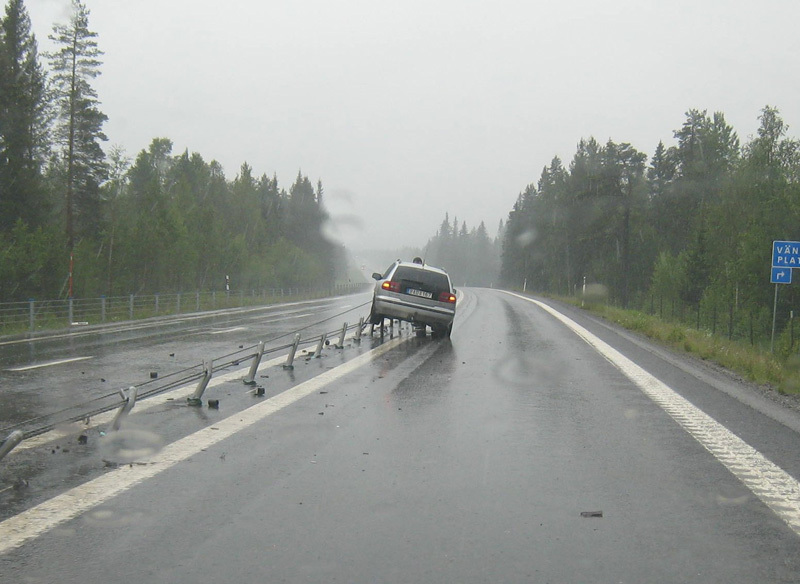 A wet surface reduces friction which leads to longer braking distances. 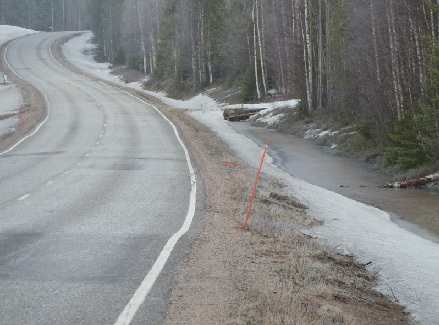 Surface water can freeze during the night at those times of the year with frost nights, and thaw again when temperatures rise above freezing during the day. 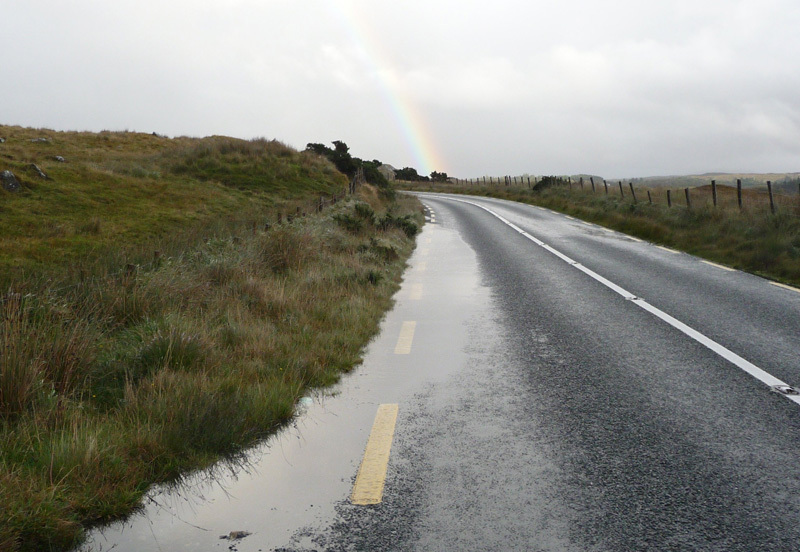 Where this happens roads may become very slippery and the change in friction may come as a surprise to those who are driving. 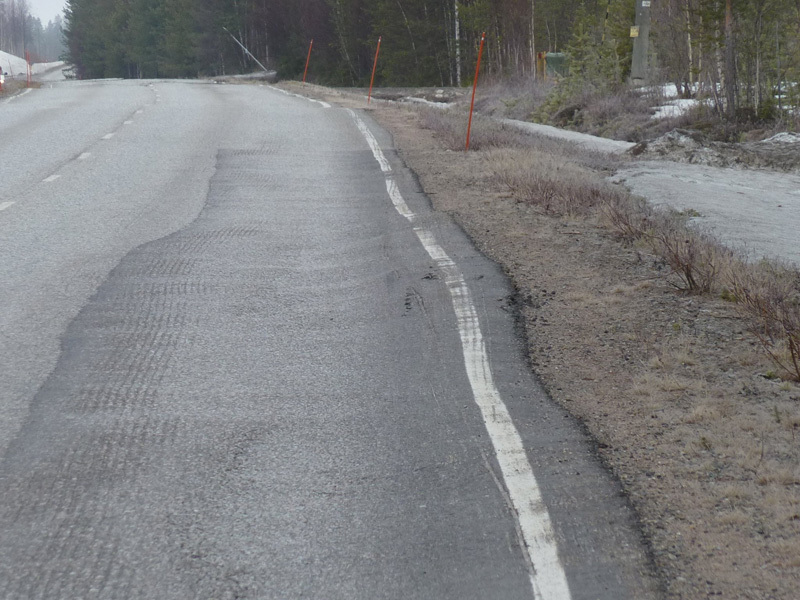 Uncontrolled water flows on the road area can cause erosion. 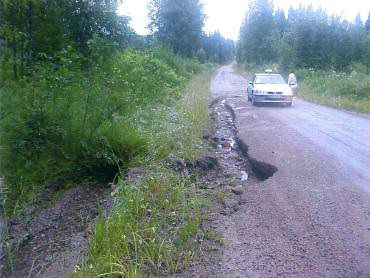 Culverts are also risk places for erosion. 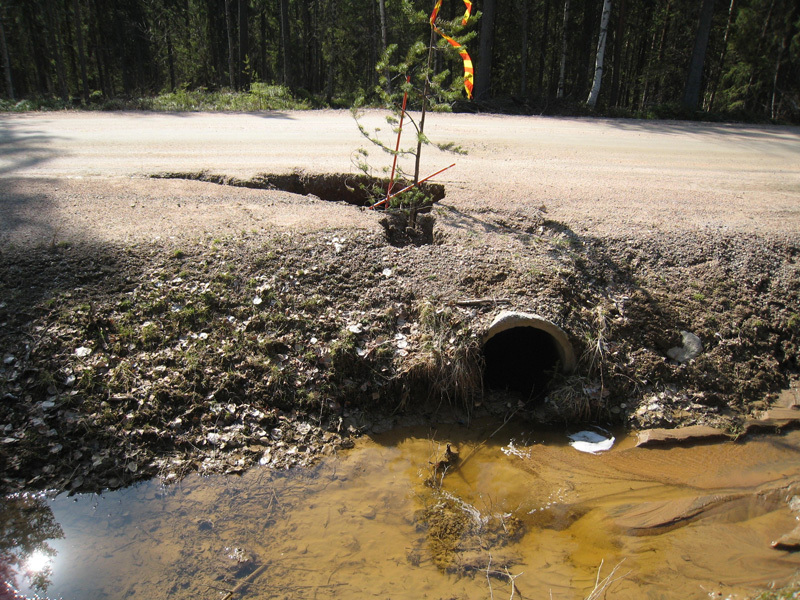 Small diameter and clogged culverts can cause water to flow towards the road and produce erosion. 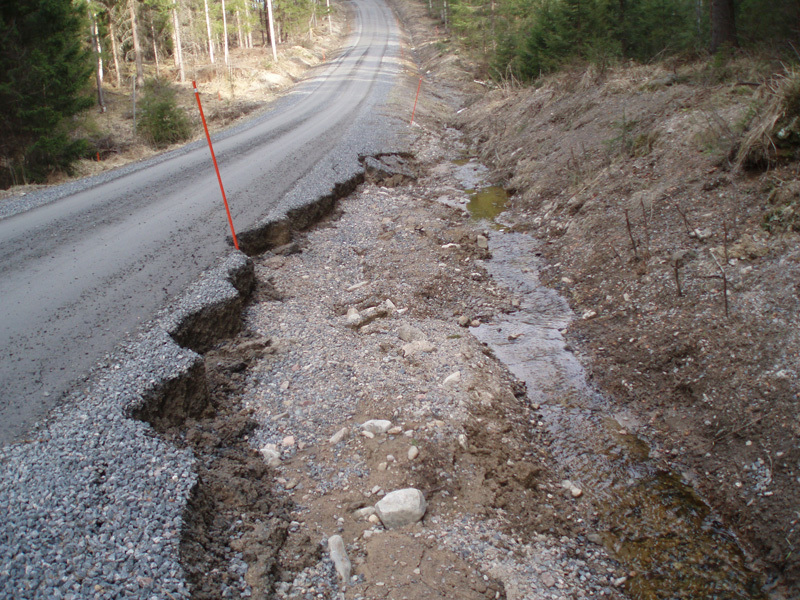 Water exiting from culverts can similarly cause erosion when it discharges directly on to erosive soil. The sensitive soil types for erosion are silt, silty moraine and sand. Vegetation can reduce erosion. 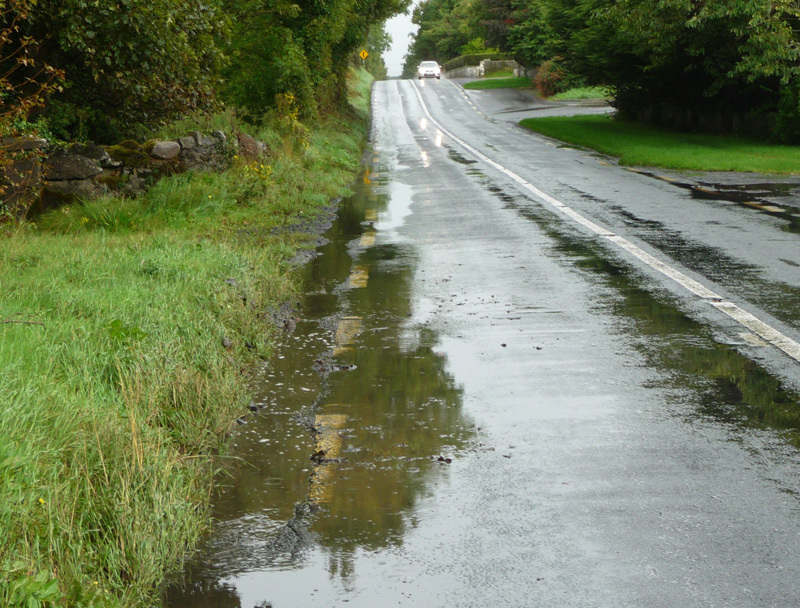 Poor drainage and moisture is a main contributor to permanent deformation problems on roads. 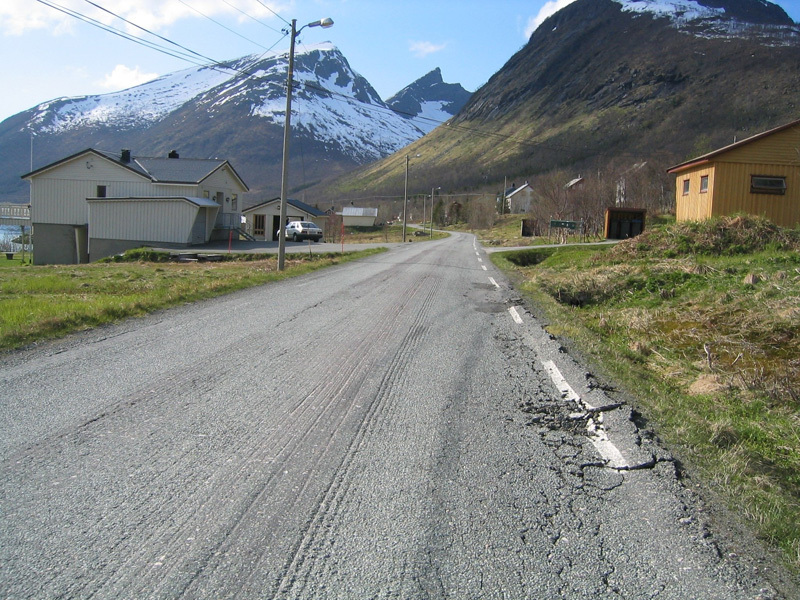 The earlier ROADEX projects have shown that in the Northern Periphery permanent deformation is the main cause of undesirable rutting on low volume roads. 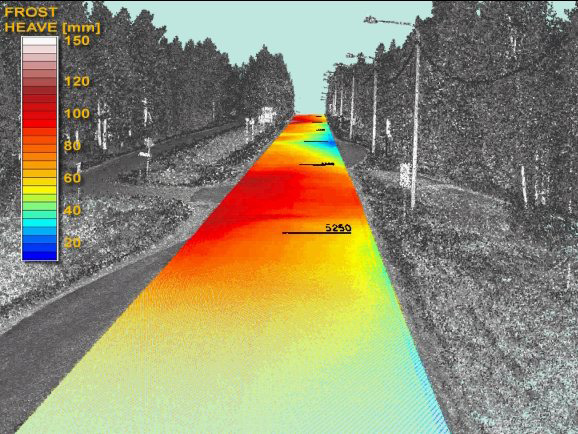 This can result in reduced traffic safety, increased driver health issues, lowered bearing capacities, and higher costs for road owners and users. 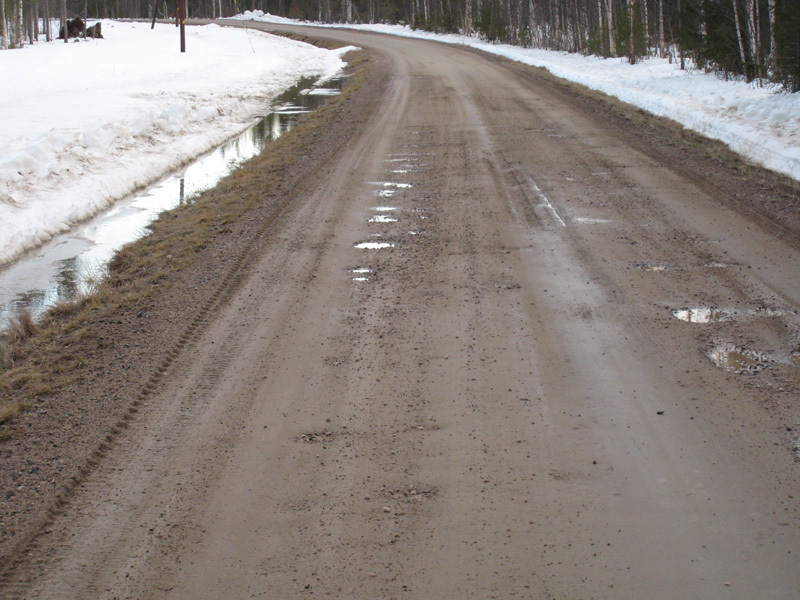 One reason for differential frost heave is poor drainage when the road drainage is not maintained as it should be. 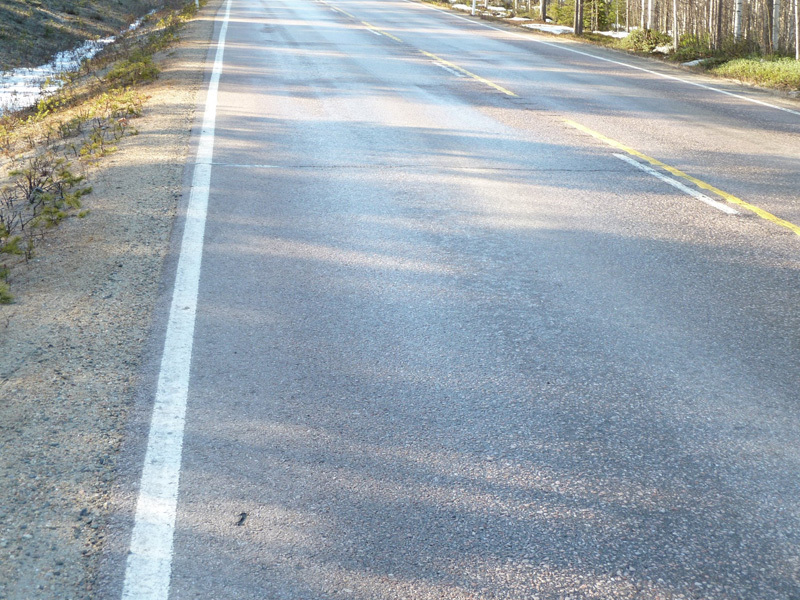 Frost heave causes unevenness and cracking on the road. 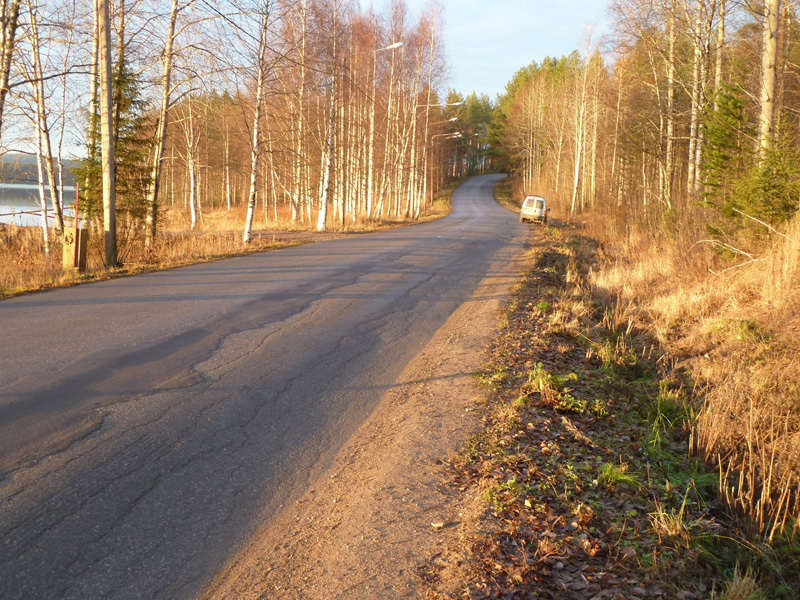 5) reduced pavement life time and increased pavement management costs. 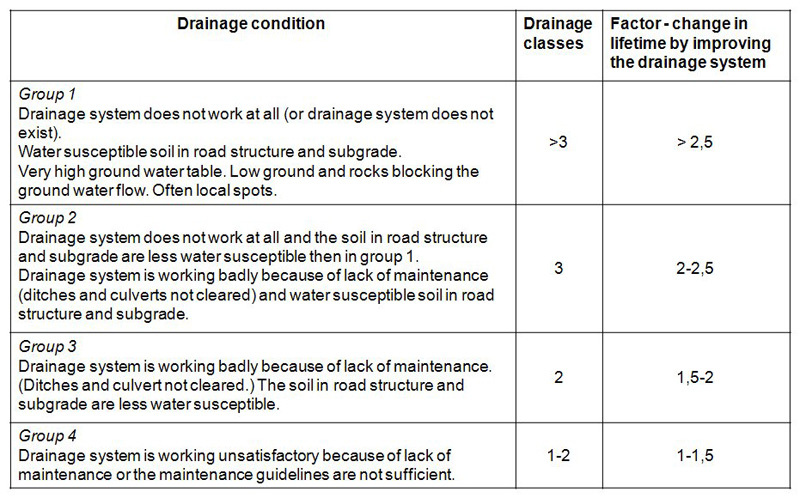 The most important factor triggering the need for paving is poor quality drainage. 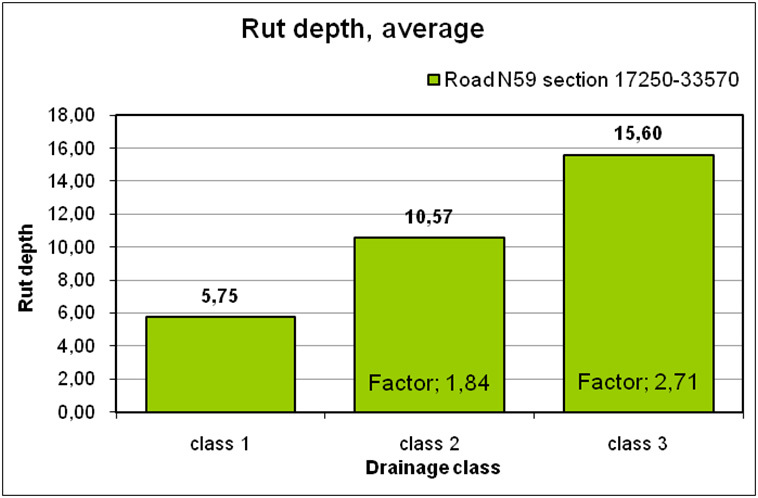 Improving the drainage condition in critical sections, and maintaining it in good condition, increases the pavement lifetime by 1.5 – 2.0 times. 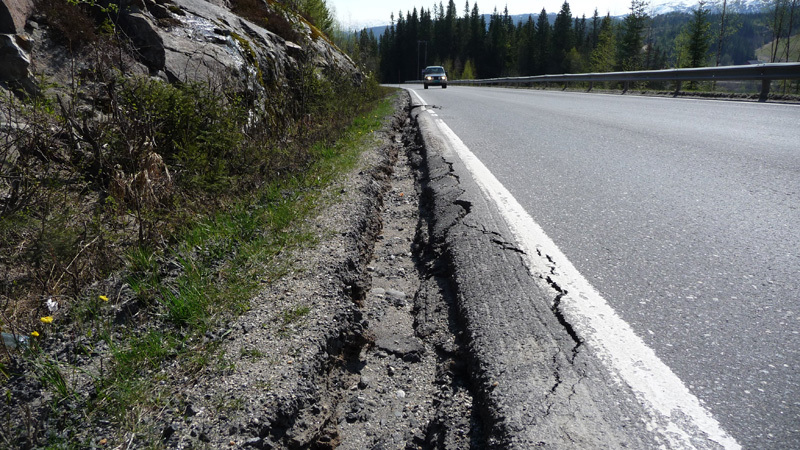 These findings have been supported by theoretical calculations made in the ROADEX II project. 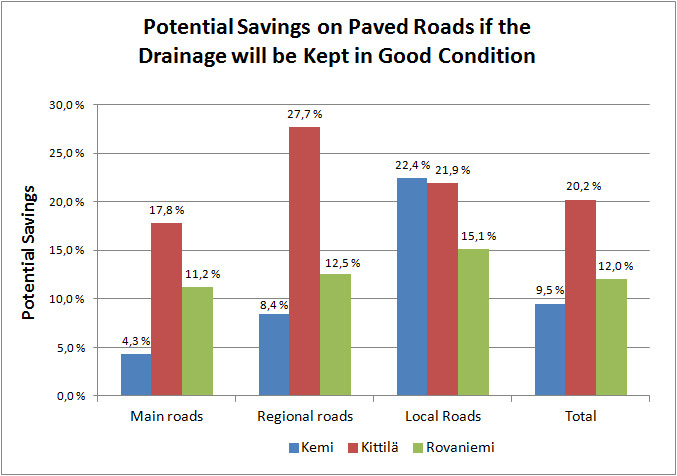 The conclusion was that if drainage maintenance and rehabilitation can be carried out in an economic fashion, they can lead to major savings in the annual maintenance costs for paved road networks.